DALLAS, Texas (June 13, 2016) – Air Medical Group Holdings (AMGH), a leading U.S. provider of air medical transport services, has ordered new Airbus Helicopters H130s to launch the first-ever dedicated helicopter emergency medical services operation in India. AMGH has joined forces with an Indian firm, Aviators Air Rescue, and will initiate emergency medical services later this year. The new venture will primarily be run by Aviators Air Rescue management, with technical expertise and standards provided by AMGH. The rollout of Aviators Air Rescue’s new service follows the recent release by the Indian Directorate General of Civil Aviation (DGCA) of regulatory guidelines for the operation of helicopter EMS in India. The new guidelines will allow the use of single-engine, dual-pilot helicopters. “With the support of Airbus Helicopters and Air Medical Group Holdings, we will provide India with top-notch air medical services that will be affordable and accessible for everyone. These services will be on par with the established HEMS operations in the US and Europe,” said Arun Sharma, Managing Director of Aviators Air Rescue. The H130 is considered the global reference for single-engine helicopter air ambulance missions. It has a wide, unobstructed cabin with large hinged and sliding doors for rapid loading and unloading of stretchers and allows medical personnel easy and unobstructed access to care for patients. Low internal sound levels and the flat cabin floor offer a suitable environment to install both sensitive and bulky medical equipment. 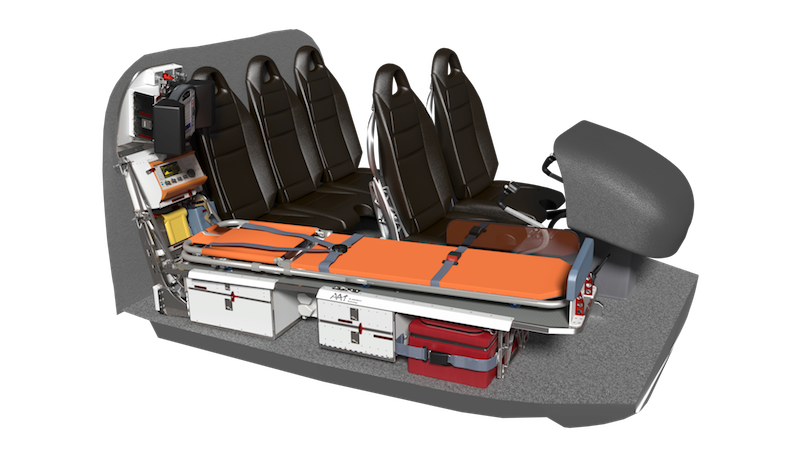 Apart from the two pilots, the H130 can accommodate one stretcher, two medical attendants, and one additional seat. The H130s are now undergoing completion at Airbus Helicopters Inc. They will be equipped with specialized air medical equipment packages configured for emergency transportation of patients, organs, neo-natal units and other time-critical medical missions. The helicopters will be dedicated solely to medical transport missions. The first H130 is expected to be delivered to Aviators in the second half of 2016, with the other two aircraft to follow soon after. “It is an honor that Aviators and world-renowned Air Medical Group Holdings have put their faith in our helicopter to rescue Indian lives threatened by emergency medical situations. We will bring to bear our global expertise in medical helicopters and our India-based support and services team to ensure that these H130s are always ready to respond to a call,” said Xavier Hay, President of Airbus Helicopters India. Aviators will offer EMS through state governments, rescue groups, hospitals, clinics, public and private companies, and also to individuals through subscriptions. Aviators has begun soliciting private membership subscriptions for the service. Additional information on Aviators is available at www.airrescue.in. Air Medical Group Holdings Inc., headquartered in Dallas, Texas, is a leading provider of air ambulance programs throughout the United States. 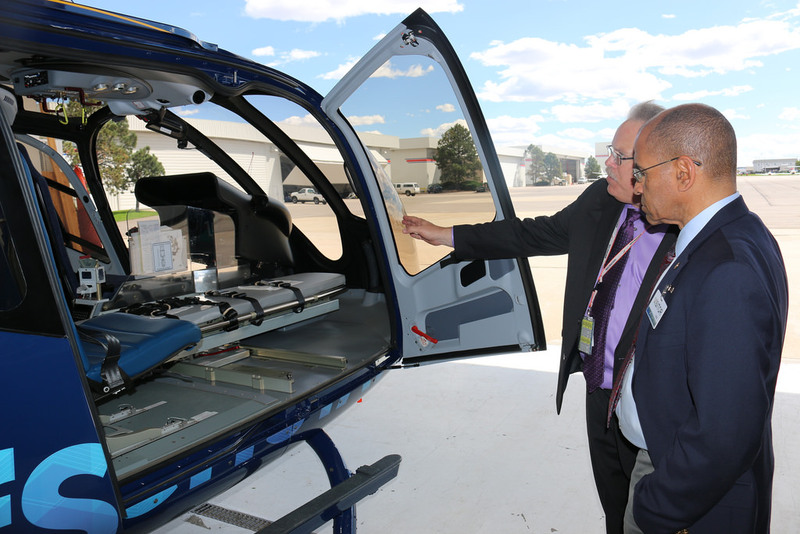 It transports more than 80,000 patients annually through its subsidiaries, which include three helicopter EMS providers: Med-Trans Corp; Air Evac Life Team, and Reach Air Medical Services. AMGH offers an array of customized air and ground medical program designs. The company’s large fleet of helicopters and fixed-wing aircraft rapidly deliver teams of highly trained professionals to patients, striving to provide the patient with the best possible outcome. AMGH is a holding of KKR, a leading global investment firm with significant holdings in the aviation and helicopter industries. For more information, visit www.med-trans.net. Airbus Helicopters, Inc. is the U.S. affiliate of Airbus Helicopters, the largest helicopter manufacturer in the world, and a subsidiary of the Airbus Group. Airbus Helicopters, Inc. manufactures H125 and UH-72A helicopters and markets, sells and supports the broadest range of civil and parapublic helicopters offered in the U.S. The product line represents the industry’s most cost-effective, technologically-advanced helicopters serving all markets and missions. The company’s headquarters and main facility are in Grand Prairie, Texas, with a large manufacturing and production facility in Columbus, Miss. For more information, visitwww.airbushelicoptersinc.com.